Contrary to popular belief, belly dancers are not rolling in dough. I'm pretty sure it's because our cost of doing business is so high. Or maybe it's because there are so many hobbyists who do it for free, and the average American doesn't know the difference between a professional and a hobbyist. Or maybe it's just because people are cheap. Whatever the reason, we don't make a lot of money. Add my high-output, low-intake job to that of my husband- a fifth grade teacher- and you get a family who must live modestly to continue in careers that actually give them joy and prevent them from feeling dead inside. This is less difficult for my husband, because he is naturally very "frugal." Me? I'm a belly dancer. I see sparkly things and I MUST HAVE THEM OR I'LL DIE. Thankfully, I have yet to perish from all the baubles I have had to pass by, though I can tell you, my suffering was great. One way we save our pennies? Cloth diapers. Truth be told, we originally chose to use cloth diapers because we do our best to be conscious of our waste. Hey, we saw Wall-E. We don't need to see an actual landfill to add up how much trash gets collected each week by a community with 500,000 people. The good news is that most ways that we are taught to "go green" are also great money savers, too! The initial investment seems atrocious, until you realize you've been using the same diapers for months, and you do the math and realize you would definitely have spent three times that amount by now in disposables. And the clean-up isn't as bad as you'd imagine. I mean, I don't fantasize about doing it or anything, but like many things in life, the hyperbole our brain creates is often very different from the reality. Besides, you still have to clean up baby poop, even with disposables. Today, there really isn't any excuse. Alice wears Kissaluvs, and they are so great. They're absorbent, easy to launder, and the very best part? They have snaps. They are contoured. They are cloth versions of disposables, but you only have to buy a set once. Is it bad that when I watch TV and there's a package showing some poor, young parents for whom we're supposed to feel sorry, I get annoyed when they lament that they don't "even have enough money to buy diapers"? If they purchased cloth, they would already have them!! I don't generally feel the appropriate empathy in those situations. Don't get me wrong. I'm not some "disposables are indicators of Satan worshipers!" or anything. We put her in a disposable overnight, and she has to wear them at church because I discovered everyone was too scared to change her when I brought her in cloth. Because cloth diapers are scary, apparently. Until you use 'em on your child. Every year I do this to myself. And every year I say, "I'm never doing this EVER AGAIN!!" and then every year as soon as the show is over, and my students do wonderfully and the crowd loves them, I beam with pride and know I will of course do it again. See, I teach several belly dance classes, from little girls to women who can only come in the summer because they're too old to drive at night and it's dark during class in the winter. I want every single student to have the opportunity to perform- the ones who can't keep a beat, the ones who have yet to understand they need to practice between class but have *fabulous* costumes, the ones who will someday replace me, the ones I take with me to paying gigs. Everyone's family and friends think THEY are the MOST AMAZING dancer in the entire show. It's not just for the students that I want them to get to perform; it's for the people who love them, want to applaud for them, want to marvel that they actually wore fake eyelashes. However, it is a buttload of work, not just because putting on a show is going to be work, but because belly dancers are, as a lot, unwaveringly flakey. We may start working on a choreography in April to perform at the Fair in August, but won't manage to get it finished until two weeks before the performance because there isn't a single class in the interim that has everyone there. Or, I may say they need to get music to me for their own choreographies by June 15, but they won't actually start thinking about which song they want until June 15 at 10pm, and the one they want to do has to be edited for time, and could I please see if my husband can make a nice fade in or out? This year, several of my most reliable women have for varying reasons (some legit, some not so much) been... under-reliable. And there seems to be a costuming issue which involves my having told everyone what the costumes need to be three months ago, but they haven't started gathering/sewing them until now. Too say I am cranky and stressed is an understatement! Yet, I know that this Friday night at 7pm, after we have finished the curtain call and the group picture, I will love them all once again. I know that part of what drives me crazy in the weeks preceding the performance is my pedantic nature when it comes to belly dance, but eventually, they all step up to the plate. Even if it's on the Day of the Performance. Tonight is the run-through, and I have already gotten three texts from people saying they can't be there. This does not help my mood. It will probably be a mess tonight. I can be very superstitious, however. Horrible Rehearsal means Amazing Performance. I work at our local Persian restaurant on Friday nights. I was very excited when they opened, because I had just learned bandari, and I thought I was going to have the opportunity to expand my belly dance and Middle Eastern dance performance catalogue. Well, three years later, I'm still mostly dancing to Arabic pop. Why, you ask? Well, for starters, every time I bring bandari up to Mark, he vehemently states in his half German- half Farsi accent that he doesn't want me to. He doesn't like it. He likes that I do classical Persian dance...but it's definitely not appropriate for the restaurant. So I continue with raqs sharqi. Though lately I've been all obsessed with expanding my old-school American Cabaret style- you know, with floorwork and a veil routine, and a sword. All while playing zills and in a flowy chiffon skirt and jewel-encrusted bedlah. However, the quarters are tight, and most of my costumes are the narrow-skirt Egyptian style. Great until you want to the splits or a Turkish crawl. Alas, I must admit that I also just want a new costume. I need a new costume. I've been making a lovely all-white one, but haven't quite finished it. I think it shall be debuted next week at the AV Fair performance, when I have a stage to dance however I like! Maybe I throw in some bandari. Alice's days are filled with a permeating ennui. There simply must be more to life than watching Yo Gabba Gabba and torturing Mommy with that infernal zebra scooter that incessantly plays "Pop Goes the Weasel" with Carribean beats. She can walk. She can feed herself. The daily churnings of a life searching for meaning. Ah, but now her monkey has a name, an identity, and a purpose for Alice. Now she must show Debbie that affection delivered by soggy kisses and deep hugs, plastic corn on the cob in a talking pot, and Mommy's cell phone hold the secrets to self realization. And now, because of the teachings she must impart to Debbie, it is all the more important to watch Fresh Beat Band, and all the more reason to run to the couch, wailing, and fling her head upon her forearms to express her dismay when Mommy insists on turning off the TV. This is her training, and subsequently, Debbie's! How will she know how to say hello in Chinese if she is forbidden to watch Ni Hao, Kai Lan? And more importantly, how can she share the depth of her knowledge with Debbie if Mommy shackles her education? Dejected, she must settle for rearranging the pillows on the couch. Pillows!! Mommy has doomed her to a meaningless existence. Poor, tortured Alice! 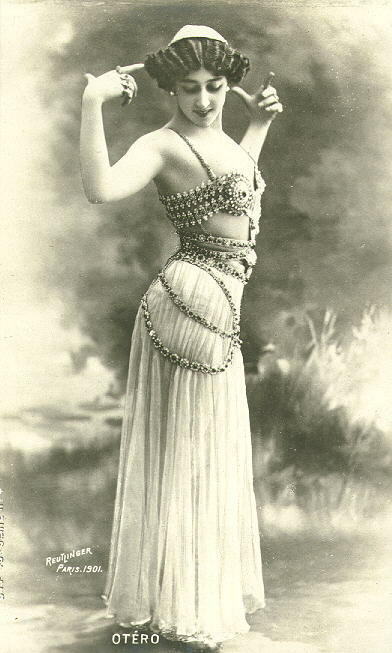 I think that my first post really ought to be how belly dancers helped me become a mom. See, I can't get pregnant. The Spousal Unit and I wanted huge family back when we got married 20 years ago, and we wanted to start right away. But then it didn't happen. Three surgeries, lots of tears, and several visits to specialists later, we finally decided to adopt. Besides. I wasn't getting any younger, and the risks associated with "middle adulthood" (as my sister calls it) were getting too great. I don't know if you've ever adopted, but let me tell you something. It's expensive. Having babies the old-fashioned way is not only much more fun (at least the creating them part is), it saves a ton of money! We were getting discouraged as we faced the daunting task of saving enough money out of his teacher salary to make it happen. I confided my plight to my friend Julia. She was just about to purchase the studio at which I was teaching belly dance, and she was one of my students, as was her daughter. She knew how desperately I wanted to be a mom. She saw how much I loved children, and thought that I would make a great parent. A little lightbulb went off over her head and she ran her idea by me. "I want to have a show, with workshops and raffles and everything, as a fundraiser to pay for your adoption." I cried. I couldn't believe someone would want to go through all that work (because I was no stranger to belly dance production) for lil ole me. Over the next several months, she contacted not only my friends to perform, but some world-famous belly dancers. A link was placed on the studio's website where people could just donate if they wanted to. In April 2009, the Bellydance Baby event happened. Karma, Raven (of TABU), Azyetunammed, Wanda, Alamkara, and Sherri Wheatley performed. It was a magical night! And one month later, something else magical happened. Belly dancers from all over the world banded together and shared my plight. I realized I was aprt of a greater community that loved me. The same thing happened with my medieval family- I'm a participant in the Society for Creative Anachronism, and they contributed and shared my story. Of course, non-belly dance and modern friends and family helped, too. In May 2009, my student Mindy decided she would let her natural hair color grow out, so she started taking pre-natal vitamins to help her hair grow faster. Life went on. I heard from another belly dancer that her teen daughter had been pregnant, but had terminated the pregnancy, and I said if she found herself in that situation again to please talk to me. Well, she did, and I began taking her to her doctor's appointments. This all unfolded in late fall of 2009. Then in December, Mindy's husband Jaime was dropping off their then-17 year old daughter for dance class, and put his hand on my shoulder. "Jill, I want you to have my baby." I blinked a couple times, trying to decipher what he meant. Well, Mindy had just found out the week before that she was pregnant, and the couple (who are also in "middle adulthood") did not want to start over. Knowing we were trying to adopt, thanks to Julia's media blitz, they thought of us. This was Monday, December 14. We agreed to discuss it further after Christmas, since she had just found out, and so was only a couple of months along. Wednesday, December 16, I got a text from the young girl that she was going to keep her baby. I was on my way to teach little girls, and it was by far the worst day of my life. Trying to hold it together in front of a class of confused 8 year olds who just want to wiggle their bottoms is quite the challenge. Thursday I got a call from Jaime that led me from the worst day to the best day of my life. "I hope you have a name, because she's here." Tucked away in the NICU at AV Hospital, delivered at 30 weeks, was the most perfect creature who ever lived. apparently Mindy was further along than she realized. In fact, she'd been pregnant since...May. When she started taking prenatal vitamins. People often say, "how could she not know?" None of us did! And there were signs. In class one day, someone was complaining about their cycle, and Mindy, 42 at the time, bragged that she hadn't had hers in months. "Lucky!" we shouted. Another day she complained that since she had cut her dance class schedule down due to work, she had been gaining weight. I saw her all the time. I never would have guessed she was pregnant. None of us did. But she was, and I am so grateful! Alice was breathing on her own the day she was delivered. She was so tiny! We had to wait until she got up to 4 lbs before we could take her home, a feat that took another six weeks. She is healthy, happy, hilarious, and the best way to become a mommy. I am so thankful to all my modern friends and family for their prayers and financial contributions, and especially to my belly dance sisters and medieval family because they REALLY stepped up to the plate so we could pay for Alice's adoption. It was an annoying process. It was nerve-wracking. It was expensive. It is SO WORTH IT. 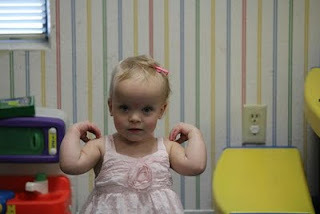 June 1, 2011, Alice legally became my daughter. But she was mine long before anyone knew about her.